NEW YORK -- Used car dealership chain CarMax and airline Virgin America said Monday that they are ending their respective sponsorships of the NBA's Los Angeles Clippers in the wake of racist comments attributed to team owner Donald Sterling. A third sponsor, insurer State Farm, said it "will be taking a pause in our relationship with the organization." For now, it will continue to run its Born to Assist ad campaign, which stars Clippers point guard Chris Paul. Virgin America echoed those sentiments in a company statement: "While we continue to support the fans and the players, Virgin America has made the decision to end its sponsorship of the L.A. Clippers." State Farm also described the remarks as offensive and said it will monitor the situation as the facts are sorted out. The Born to Assist campaign began in December 2012, and it features Paul as himself and a fictional insurance-selling twin, Cliff Paul. "Sponsoring the athletes is one thing, but not the team," said Steve Stoute, the head of marketing firm Translation, which represents State Farm, on ESPN radio. "I'm telling the brands, 'Let's pull sponsorship,' starting with State Farm," Stoute said, according to Mediaite. "When you have things like this taking place, somebody has to stand up." 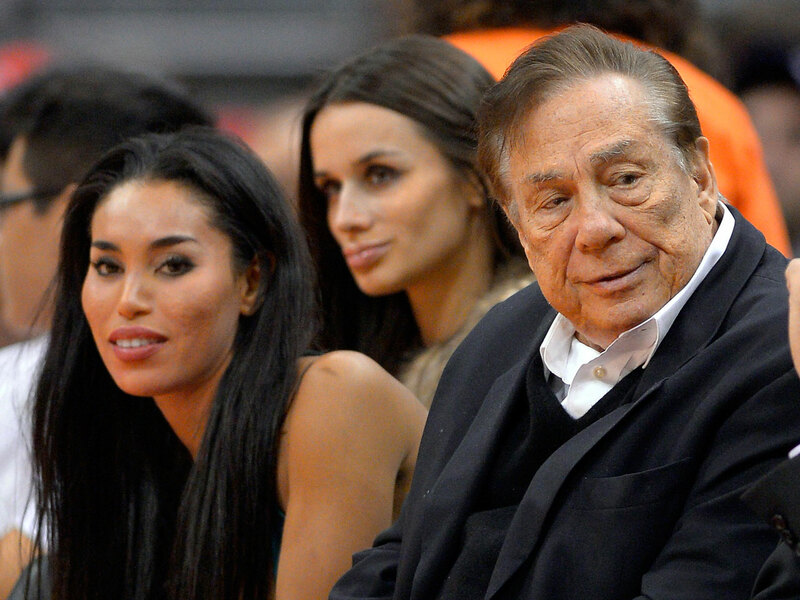 The NAACP announced that Sterling would not be receiving a lifetime achievement award from the L.A. Branch of the organization as planned on May 15. On Monday, the NAACP said that Sterling had given the organization an "insignificant amount of money" and they planned to return it. "I'm obviously disgusted that a fellow team owner could hold such sickening and offensive views," Jordan said in a statement released Sunday. "I'm confident that Adam Silver will make a full investigation and take appropriate action quickly. -Sterling doesn't attend any NBA games for the rest of the playoffs because of the "enormous distraction." -A full account of past allegations of discrimination by Sterling and why the league never sanctioned him. -An explanation of the range of penalties the league could bring against Sterling. -Assurance the NBA and the union will be partners in the investigation.